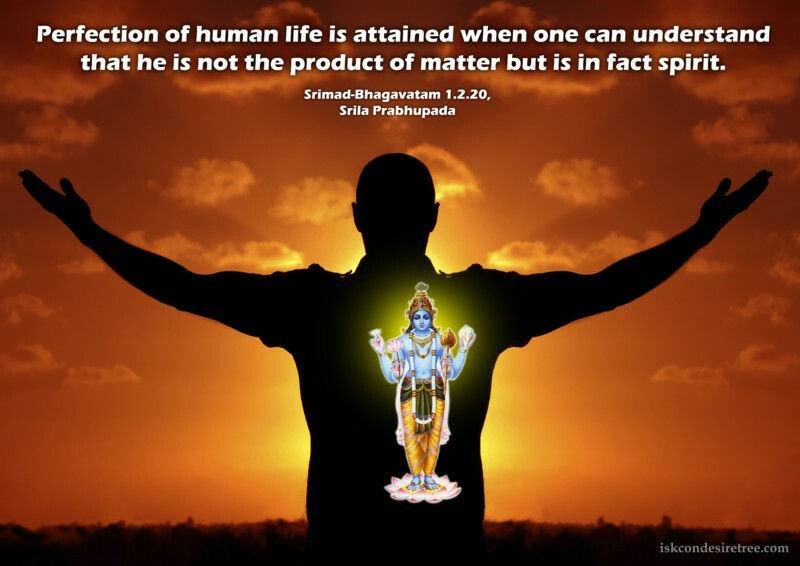 Perfection of human life is attained when one can understand that he is not the product of matter but is in fact spirit. The spiritual master's order should be taken as the prime duty of life. If one gets a bona fide spiritual master and acts according to his direction, then his perfection of life in Krishna Consciousness is guaranteed. Anyone who very seriously engages in devotional service can obtain, in due course of time, perfection of the human form of life. The perfection of human existence is to die to live. To die to all material connections and designations and to perform our duties in the spirit of being servants of God.